In the last couple of days an extensive new ramped structure has been installed at Blackhorse Road. This fills in the gap between the footbridge and ticket hall but means a longer overall walking distance than in the past. I assume it has been done to ensure that all ramps are compliant with modern standards so that a wheelchair user will be able to get between the ticket hall and the lift towers to both platforms. Given how many people have "knife edge" connections, myself included sometimes, to / from the GOBLIN platforms I can see people missing trains in future because of the longer walking distance. The User Group tweeted the following. In another tweet there is a photograph from the opposing angle, the picture is very small and grainy but it does appear that there are stairs to the right of the lift linking direct to the station. Slightly illogical, if you are going to build a ramp that long and shallow which is suitable for wheelchairs, then why build a lift as well ? Lifts normally installed where there isn't room for a ramp, or vertical difference is big. They cost lot more and need maintenance. The issue to bear in mind at Blackhorse Road are the height differences in and around the station. Depending on where you enter the LU ticket hall you either have a step free entrance or one with umpteen stairs. Even going out to the GOBLIN there was a pretty steep but short ramp from the "hole in the wall" to the footbridge. I am pretty sure that ramp is not compliant with national standards for wheelchair users. Therefore I expect that a multi level ramp is needed to cover the height difference. What is not clear from any of the photos so far is what happens immediately after the "hole in the wall". I'd guess there is a short staircase for the able bodied and a shallow ramp to the left to get up to the long ramp shown in the photo. My understanding of the original design was that the Barking platform was going to have a long switchback ramp arrangement to reach platform level (as at WW Queens Road and Upper Holloway). The Gospel Oak platform was going to have a lift only. What's brought on the two lift design is unclear. Of course there is a maintenance overhead involved but I expect that has been reflected in the ITT from the new concession and in Arriva's winning bid. The more pertinent issue, given recent station closures, is whether LU has enough people rostered to keep the lifts in service. There are no Arriva Rail London staff at Blackhorse Road and you NEVER see any LU staff on the platforms or doing inspections. Given the massive numbers using the station it's a pretty shoddy arrangement. There will also be the issue of getting LU staff familiarised with the lifts in case assistance has to be provided. Given the overtime ban and thin staffing levels that may prove rather difficult to achieve. Network Rail have tweeted some photos from the GOBLIN driver training runs this weekend. It's clear in the photos that platforms at S Tottenham have been extended eastwards and that Wanstead Park has got new platform shelters and a much longer resurfaced platform area for longer trains. A number of the other photos are of tracks near S Tottenham, at Barking, Gospel Oak and east of Blackhorse Rd (slab track) plus Queens Rd station. National Rail have sent a letter through my box again, confirming the passenger service reseumes on Monday 27th February. It also states that freight trains will use the line at weekends before normal trains resume, which suggest not much work is being done now until passenger operation. The letter also admits work was delayed due to structures "being incorrectly designed and coudln't be installed at the planned locations. Late delivery of materials and structures also led to further delays." It also hints to "another full closure of a period of time later this year." Passengers are going to be happy to hear NR openly admit failures to stick to schedules while they had the line fully down; and aim to cause disruption all over again because they couldn't get their act together?!? I think the reality is a bit more involved and complicated. There is no doubt that things have gone wrong on the NR side of things but based on informed comments elsewhere it seems no one involved to any great degree comes out of this well. TfL, NR, external regulators, the contractors and suppliers have all done / not done things which have created a heady mix of problems which have prevented the extent of planned electrification being achieved. What is also clearer now but was not at the start of all of this was that the blockade was much more focused on giving time for some complex and involved bits of civil and track engineering to be done and not quite so much about sticking in hundreds of masts and stringing wires. There is no doubt it's a mess but the planned civils works are done, a lot of masts are in, most stations have got their extended platforms built and extra shelters and, in some instances, ticket gates installed so it's not all lost or left outstanding to do. The bigger bits of work are having to jack up the bridge at Crouch Hill station to give extra clearance (a late clarification on standards has caused this), installing masts on the eastern viaduct end of the line and ensuring all the metal work arrives (specialist supplier has had production issues). It seems that actually stringing the wires etc is relatively achieveable and can be done in possessions. The Crouch Hill issue is the main cause of the future blockade being needed. The wider issues are making sure that there is an agreed and achieveable programme that will deliver an electrified railway for freight and passengers trains before new trains arrive. There is also undoubtedly a rather large commercial fall out in the background as to who is to blame for what and who is genuinely entitled to more money. TfL have publicly said they are seeking "compensation" but I can't see what, at this stage, they have lost. Sounds like a nice headline but there was never a fixed public date for the blockade to end - it was always "February" and we're getting services restored in February. The reality is that the blockade has run on for 3 more weeks but most people have no idea about that. The worry has to be that other works will have to be cancelled or descoped in order to fund whatever cost overruns have to be borne by TfL and NR and their suppliers. I also don't imagine Mr Grayling will be happy at the DfT being landed with a bill either (they are the major funder of the works). The line has indeed reopened this morning. 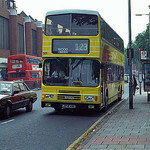 172002 was the unit for the first train from Barking, which departed 2 minutes late (2J94 0608 Barking to Gospel Oak). There appears to be an issue with real-time tracking on most of the line, which means services that have departed remain showing on the departure boards until they reach Woodgrange Park or Gospel Oak. 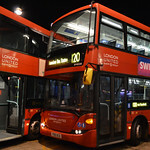 I travelled between Blackhorse Road and Leyton Midland Road this evening. First day back back half empty train. As I had thought there are steps from the station building to the footbridge, with the ramp being used for the mobility impaired to reach the lift on the Tottenham-bound platform. I did not see evidence of platform extension at Blackhorse Road. Did not get a clear view of Walthamstow Q R to fairly account that (I'm not convinced they were extended though). The platforms at Leyton M R are definitely extended. Both platforms at Blackhorse Road have not been extended yet. However, pretty much every other platform had either finished being extended or is mostly done. My trains in the morning were also quite empty, no problems at all getting on, even after the 0759 Woodgrange Park to Willesden Junction peak extra was terminated at Crouch Hill in order to use the unit to cover a failure elsewhere. 0759 Woodgrange Park to Willesden Junction, later terminated at Crouch Hill wanted to take it all the way to Willesden Junction! Someone from the rail users group was present at Barking before the first train, and then later boarded the Willesden Junction service. They were walking through the train after every station counting the number of passengers on board . They have also reported that there have been many issues with lighting, TVMs and Oyster readers at stations. And the issues with the train describer at South Tottenham signal box means that trains are not being tracked and therefore don't appear correctly on the screens at stations (and online apps). BHO's platforms are not going to be extended. Apparently they are just long enough for the 4 car CL710s. Queens Road's platforms have been lowered in only a section long enough for the 710s. That was evident when I took some snaps 2 weeks ago. There are still sections of the old higher platforms at each end. As expected Assembly Members have been jumping up and down demanding answers about the delayed electrification works. Below are a couple of relevant Mayor's Answers. More questions than this were asked but some answers repeated what had been said about demanding a robust programme, not paying any more money etc etc. Note the careful "derriere covering" remarks about "TfL were only told on 31 Jan that it had all gone pear shaped" and the "all the project meetings and reports prior to that said things were broadly on track". I wonder how robustly TfL challenged Network Rail on what "broadly" meant and what independent checks they were making themselves. It also puts what looks like the final kybosh on using ex TfL Rail class 315s. I suspect in some ways TfL may be secretly happy with the delay to the electrification works as it kills off the ability for people to keep calling for the 315s to be reused. Please state the exact date that TfL were informed by Network Rail of the delays in installing overhead wires and other work as part of the upgrade work to the line. 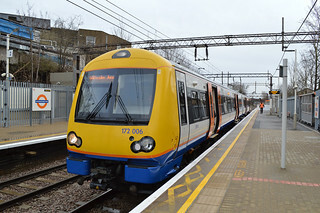 I was dismayed to learn that, despite part and full closure of the Gospel Oak to Barking London Overground line since June last year, Network Rail has been unable to complete the electrification work. Network Rail only informed TfL on 31 January about the state of the project and the extent of the significant additional closures needed to complete the work. Before that, Network Rail had been informing TfL, via its regular four-weekly project board which TfL attends, that the project was broadly on track. TfL has expressed its frustration on behalf of its customers to Network Rail senior management and has demanded a robust plan and assurance that the delivery of the remaining works poses minimum further disruption to customers and no additional cost to TfL or fare payers. TfL has ensured that the line will reopen to diesel trains as planned on 27 February. 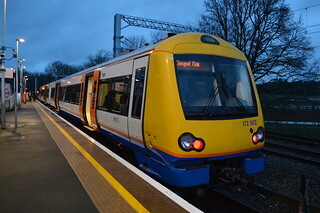 To reduce diesel pollution in London will you instruct TfL to transfer surplus electric trains from its Shenfield service to the Barking-Gospel Oak line when they become available this summer, instead of its current plan to continue running it with diesel trains until 2018? TfL Rail needs to fully test and ensure that the new trains on the Liverpool Street to Shenfield line are operating reliably before they can release the existing trains. The earliest possible date for this release would be December. 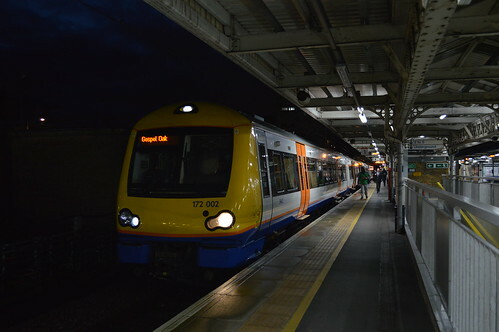 Additionally, there would be a considerable cost to make these trains compatible with the equipment on the Barking to Gospel Oak line as well as to train drivers to operate these trains. 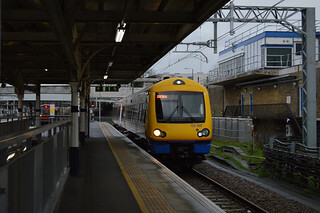 In light of the short period of time between the old TfL Rail trains becoming available and the introduction of new electric trains on the Barking to Gospel Oak line, this action would not represent good value for money. I was dismayed to learn that Network Rail (needs to carry out further work and related closures along this line this year. Network Rail is developing a plan to complete this work with minimal impact on customers as possible before the new electric Overground trains arrive in early 2018. As a result, it is not clear when in 2017 the electrification of the line will be complete, but I will continue to push for this to be clarified as soon as possible.